FRP Pipe has the advantages of light weight, high pressure resistance, corrosion resistance, non-scaling, easy construction and a service life of up to 20 years. It is currently being promoted and applied in various oil fields. FRP Pipe is a continuous glass fiber reinforced thermosetting resin pipe. It can not withstand external impact. It is affected by internal and external factors, sometimes leaking (leakage, burst), seriously polluting the environment and affecting water injection. rate. After field investigation and analysis, the main reasons for the loss are as follows. (1) The influence of the type and degree of curing of the synthetic resin, mainly the quality of the resin, the resin diluent and the curing agent, and the FRP compound formulation. (2) The structure of the FRP Pipe component and the influence of the glass fiber material, the complexity of the FRP component directly affects the quality of the processing technology, the material is different, the medium requirements are different, and the processing process is complicated. (3) The impact of the environment is mainly the production medium, atmospheric temperature, humidity and environmental impact. (4) The influence of the processing plan, whether the processing technology plan is reasonable or not directly affects the construction quality. 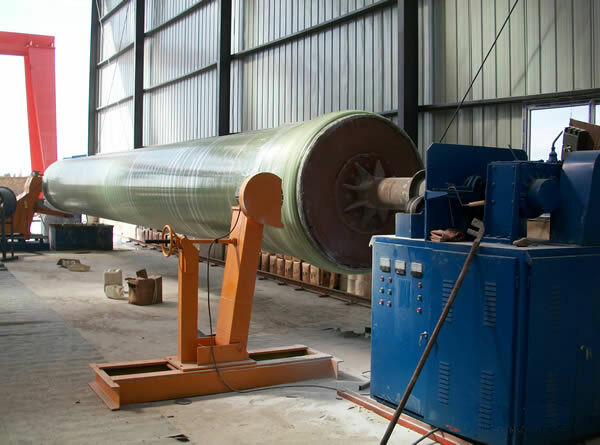 Due to factors such as materials, personnel operations, environmental impacts and testing methods, the performance of FRP Pipe is degraded, and there are very few parts of the wall that are not up to standard, and the internal and external screws have dark cracks. It is difficult to find in the inspection, only during use. It will show up, it is a product quality problem.